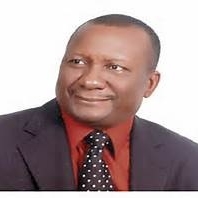 Olorogun Moses O. Taiga is the chairman of Modant Marine Limited (an indigenous marine manufacturing & leasing company located in Port Harcourt), Execon Holdings Limited and Niger-Benue Transport Company Limited, and on the board of several reputable companies. He is a graduate of Finance & Accounting from the University of Lagos and holds a post graduate degree in Finance & Economics. 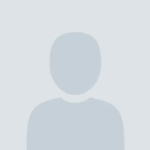 He is a Chartered Accountant by profession. He has over 30 year’s managerial experience including work in Banking, Conglomerates and Petroleum sectors. 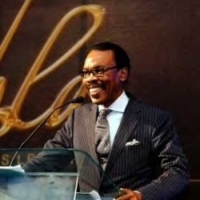 Bismarck J. Rewane is the Managing Director/Chief Executive Officer of Financial Derivatives Company Limited in Lagos. He has more than thirty years experience as an Economist, Banker & Financial Analyst. He is a Chartered member of the Institute of Bankers of England and Wales and a Fellow of The Nigerian Institute of Bankers. Adeboye Shonekan holds an L.L.B from the University of Reading, Berkshire, United Kingdom. He was called to the Bar in 1987 upon graduation from the Nigerian Law School. He also attended the prestigious Harvard Business School for a program in Management Development. Bode Adediji is the Group Executive Chairman of Bode Adediji Partnership and Kontinental Developers Nigeria Limited. 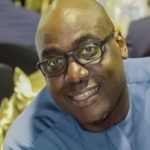 He is a seasoned Estate Manager with a Bachelor’s degree in Estate Management from the University of Ife and a Master of Science in Urban Land Appraisal from the University of Reading. 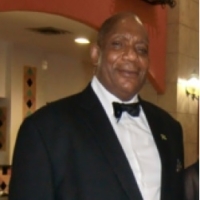 He is currently the President of the Nigerian Institute of Estate Surveyors and Valuers (NIESV) after serving in various positions as Publicity Secretary, Treasurer and National Secretary. Isaac K. Alofoje, a chartered accountant graduated from the University of Ibadan with a Bachelor’s degree in Economics. After his articleship with PriceWaterhouseCoopers (PWC), he joined International Merchant Bank (IMB); where he worked in each functional area, thereby acquiring a deep insight into the banking workflow process. He attended credit administration courses at First Chicago Bank (USA) and Midland Bank (London, England), now known as HSBC plc. He also attended a course on Mergers and Acquisitions organized by Euromoney, London. Amongst other courses, he attended the University of Chicago (USA) Executive Programme on Corporate Strategy. A promotional solutions specialist, the founder and CEO of Dugo Ltd, a leading brand in the management and service of Promotional Merchandise in Nigeria which has won International award for quality and accolades in Nigeria and beyond. 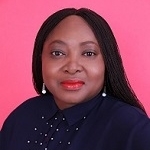 Ngozi Nzegwu is the Founding President of Association of Promotional Products Specialists of Nigeria (APPSON) which is first of its kind in Nigeria’s over 100 years existence. Very passionate about women and youth empowerment, founder and coordinator of Kingdom Investors an NGO that provides free capacity building programs, business mentoring and coaching for women entrepreneurs with over 1000 women as direct beneficiaries. Partners with various organizations to empower women and young people.